The Hoard Conservation Team at Birmingham Museum and Art Gallery would like to say a big thank you to everyone who has donated towards the fundraising of the Keyence 3D digital microscope. The purchase of this essential piece of kit was funded through the generosity of several trusts & foundations who have supported the conservation programme and from public donations given by visitors at BMAG. 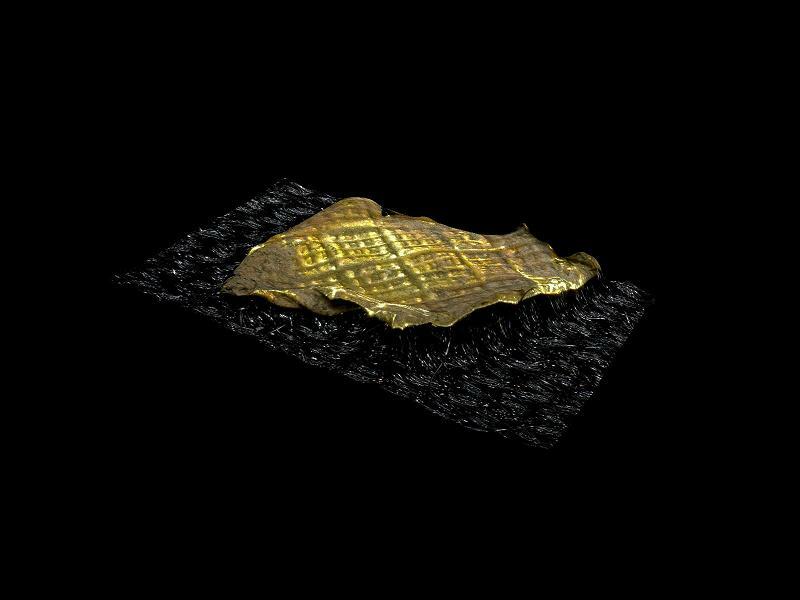 The Keyence 3D digital microscope will not only help the Conservation Team with their work in Birmingham and Stoke but it will also benefit the Curators, and Researchers who may wish to view the surfaces in more detail. Will capture 2D images, 3D images, , has 2D and 3D stitching (to create a larger image of the surface area) and video. 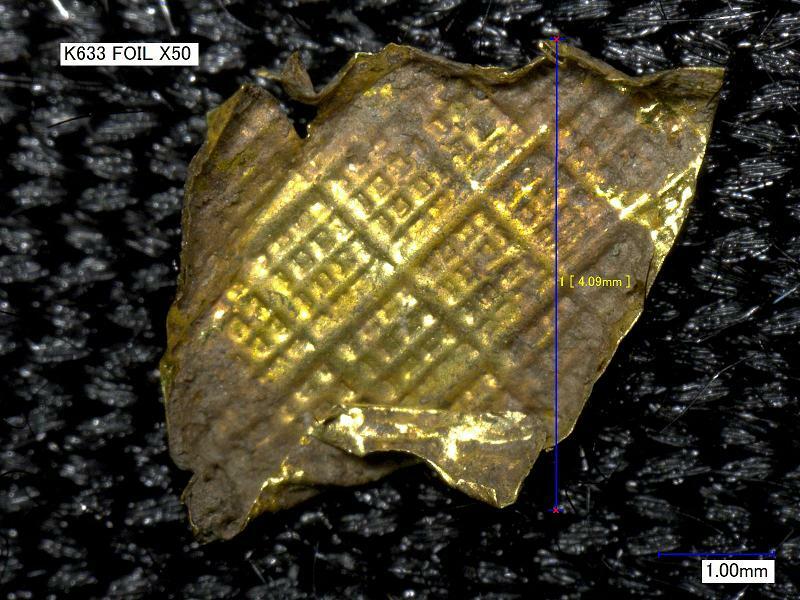 The software allows measurements to be taken, so the depth and size and width of foils indents can be measured. 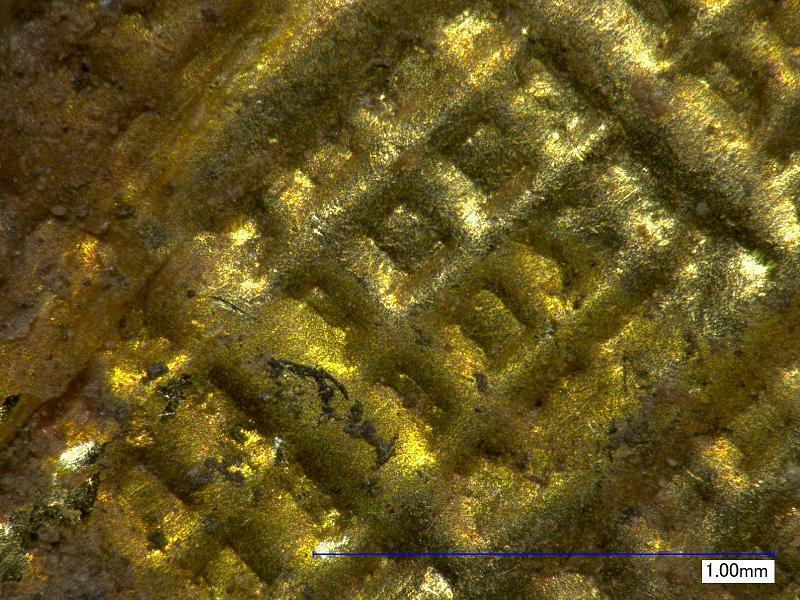 I have attached some images we were able to capture of a one of the tiny foils using the Keyence 3D digital microscope. The first shows the whole foil at x 50, stitched together. The next two show the detail at x50 and x200. The detail is fantastic. The images and videos produced will also allow us to share our findings with the public via the website and the displays in the galleries. So once again – a huge thank you to everyone! Can you post a method for us to contribute to the purchase of this microscope? If you would like to send a cheque please make it payable to “City of Birmingham Museums and Art Gallery Development Trust” and post it to the Hoard Appeal, Fundraising & Development Office, Birmingham Museum and Art Gallery, Chamberlain Square, Birmingham B3 3DH. Thank you for asking about this!